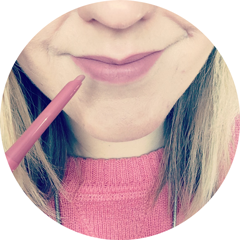 I first saw this great tag on Shona's blog Fresh Beauty XOX and loved reading her answers. (The tag originated on Next Route Style's blog.) I thought I'd give it a go and I'd love to hear your answers too! If I could only take one makeup item into the jungle, despite the heat it would probably be foundation so I could cover up spots, dark circles and just generally look a bit more alive! When it comes to skincare I really don't think I could choose just one, I'd have to convince them to let me take at least five!! I think it would have to be the creepy crawlies, especially spiders or anything else with lots of legs! There's no way five minutes is enough, but I'd moisturise, apply dry shampoo and a quick layer of foundation and blusher. My hair isn't long enough to do this, but it would have to be some kind of up do, so perhaps a low bun instead! I definitely couldn't do a Jordan and go in with corn rows!! I think it would have to be someone easy going with a good sense of humour who could lift my spirits in the low moments, so perhaps the comedian Sarah Millican. If it wasn't a celebrity, then it would be my best friend, because she'd be the best support throughout all the highs and lows. There's no way I'd be the chef of the camp because I'd probably burn everything! I'm quite organised so maybe I'd be the one who rallies everyone around to do what needs to get done. It would be the unneccessary bitching and arguments. I've never got involved in it myself, but I've seen it happen and it's not nice. Challenge - this is a once in a lifetime opportunity. You're up for a trial to face your fears or try something new, what would you choose to do and why? I think everything about being in the jungle would be a challenge for me in itself! If I was really brave it would be something with spiders involved, but there's no way I'd be sticking my head into a box of them or anything like that! Letting one crawl on my hand would be bad enough. I tag everyone who reads this post to do this tag - send me your links if you do! Thanks for taking part; week 3 big finale is up now. Please can you leave your blog link as a comment on our blog so more people can check out your fab answers.